Many of you know already what this car is. It is America’s sports car. In my sophomore English class, we had to do a research paper on a biography. Naturally I did my paper on an automotive industry individual, Lee Iacocca. He was the man who was behind the original Ford Mustang. 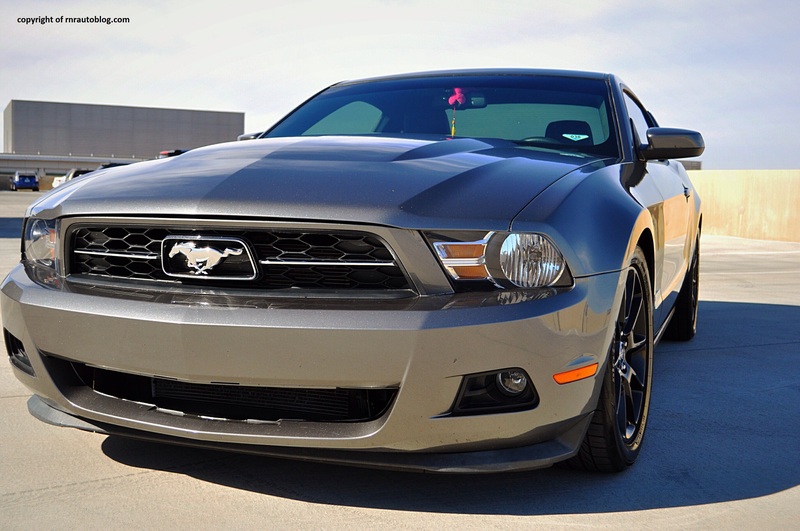 Celebrating its 50 year anniversary, the Ford Mustang debuted in 1964. 18 months after the Mustang debuted in April 1964, a million were made. The Mustang was wildly successful, and it started the muscle car craze in the 1960’s and 1970’s. The Mustang soldiered on, even with the debacle that is the Mustang II (It was bigger and slower and had four cylinder engines). Before the 1994 redesign, the Mustang was close to being discontinued as it had morphed into an uninteresting sports car. But the 1994 redesign changed its outcome, as the design was retro and the driving performance drastically better. Since then, the Mustang has been thriving. When it comes to styling, it is imperative that muscle cars are retro in a way. The Mustang achieves this effect. 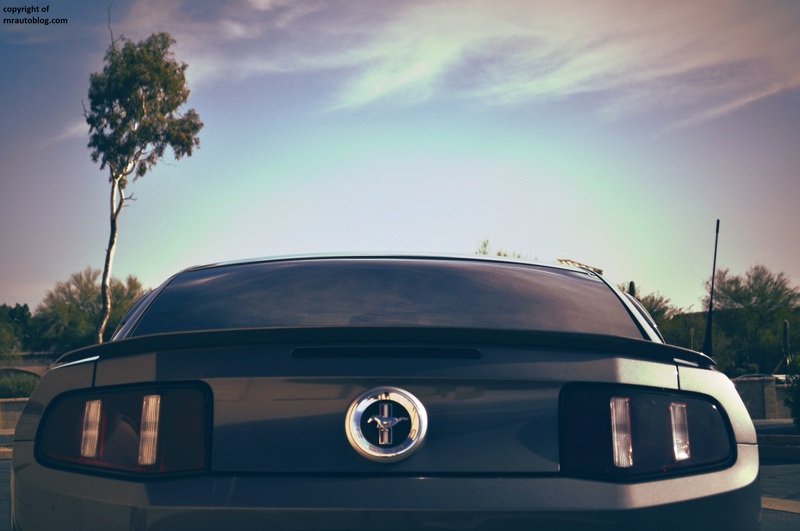 The overall silhouette is reminiscent of the first generation Mustang. The design manages to be aggressive without being over the top. The furrowing headlights and in-your-face grille suggests menace. The proportions are spot on.The design is simple with retro touches such as the louvers, the Mustang logo, and the side creases. One feature I love is the sequential turn signals. When you signal, the rear lights have three blinkers each, and depending on the direction you signal, it blinks sequentially. Brilliant! Overall, the design is a nice balance of simplicity and toughness. The interior is both attractive and functional. There are a tad too many buttons but the interior is not a bad place to be. 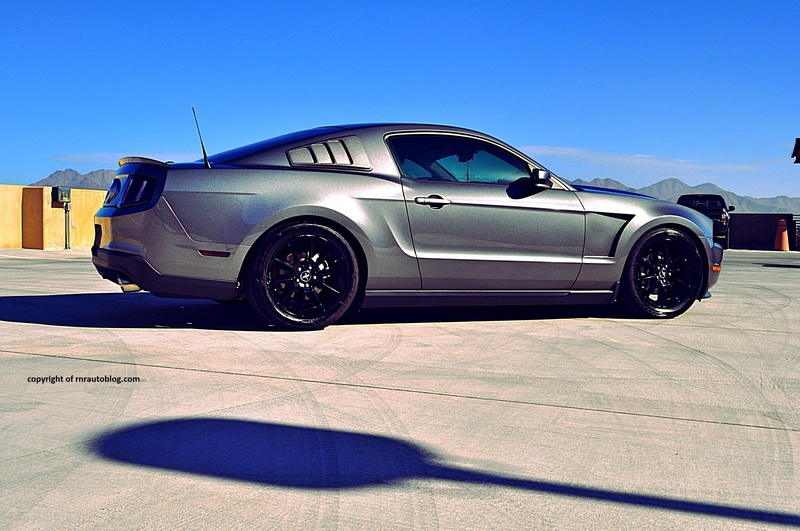 For a big coupe, the Mustang handles well. Body lean is well contained. Steering weight and response is decent and linear. I do wish it had more feedback though. The car turns in willingly, and is very balanced. The brakes are sharp and easy to modulate. The car is eager to let its tail slide in turns, but it is controllable. This car loves to be hustled. A tradeoff for its superb cornering ability is a rock hard ride. 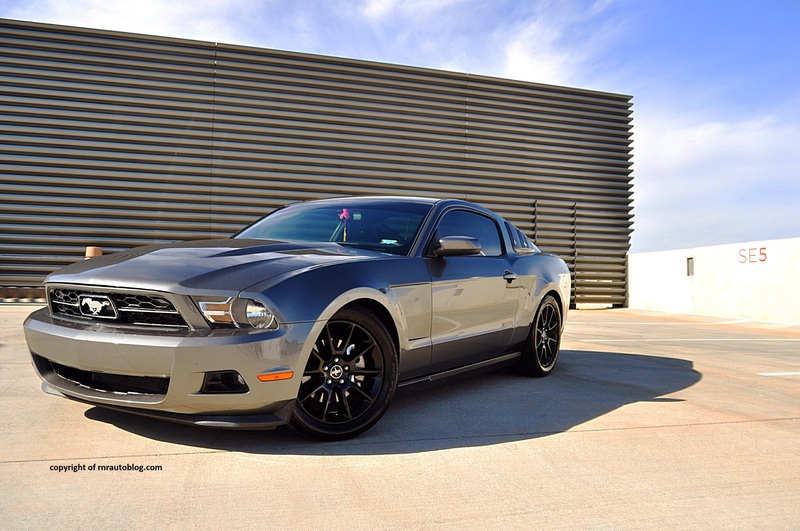 This may not apply to regular Mustangs as this comes with a customized suspension. The suspension is jittery and constantly busy, even on smooth roads. It is so low that you have to approach speed bumps like it is a matter of national security. 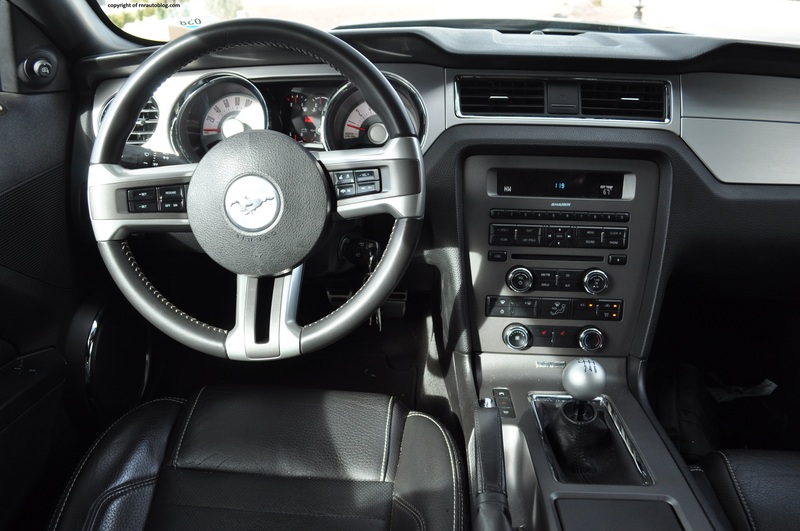 This Mustang comes with a good ol’ manual transmission. The manual is a joy to row. Shifts are short and direct. Clutch travel is a bit long though. However, clutch weight is decent with adequate feel. 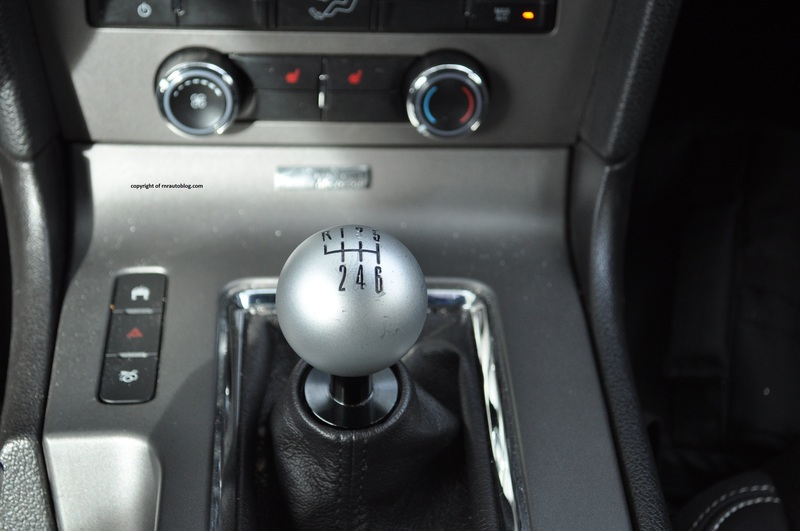 If you are going to get a muscle car, do it right and get the manual transmission. I’m sure the automatic will be fine, but it will not match the involvement you get with the manual transmission. 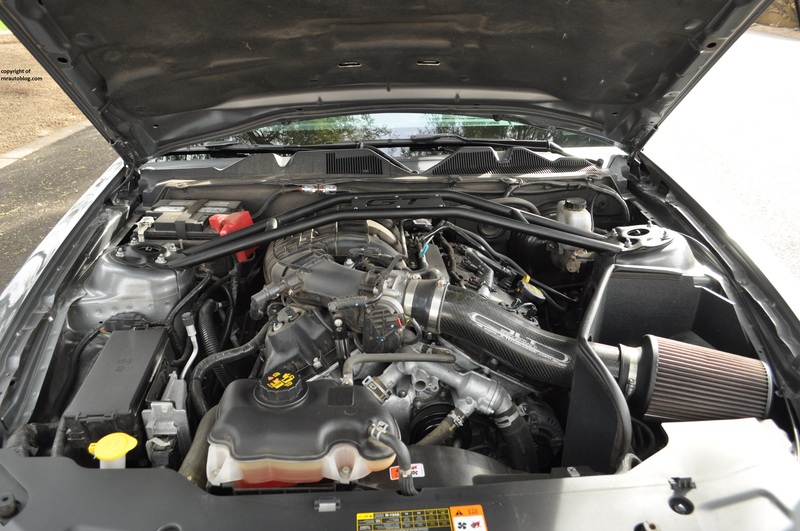 Muscle car purists will argue that a muscle car is not a muscle car if it has a V6. 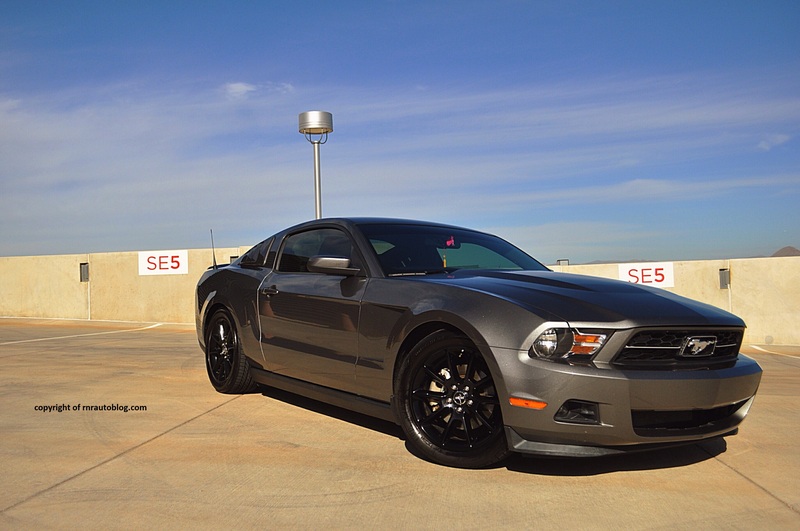 Ten years ago, that might be true when Mustangs had anemic V6s, but this V6 is no slouch. 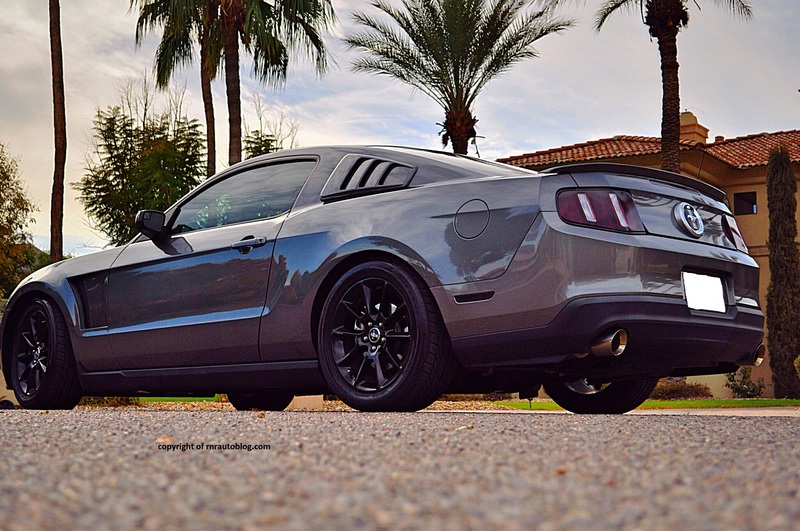 Pumping 305 horsepower, the ‘Stang will move at a surprising pace. The V6 never struggles at low revs, so less gear changes are needed. Top speed for the V6 is limited to 120 mph. Fuel economy is respectable at 18 mpg city and 28 highway mpg. It is noisy inside though. The upgraded exhaust exacerbates engine noise, which is a problem as this engine is boomy at low revs. Give it more gas, and the boom manifests into a growl. Road noise is also amplified by the suspension. However, wind noise is decently suppressed. If you’re on a budget and do not place ultimate speed as your priority, the V6 is a suitable alternative to the V8. The cabin decor is purely utilitarian, with no luxury touches. This is one of Ford’s best cabins, as everything feels solid and well put together. Even though they are numerous, the controls are legible and large. The Sync system is easier to use than in other Ford vehicles, mostly because it does without MyFord touch (a complicated system in which the touch screen interface does not work well). Pairing your phone takes little effort, and voice command is surprisingly decent. There is ample room in the front and it is easy to get comfortable. The rear is a bit cramped, but that is not unusual for a two door coupe. The reason I chose Lee Iaccoca for my biography is because I consider him one of the greatest men in the automotive industry. He is the man behind the original Mustang. 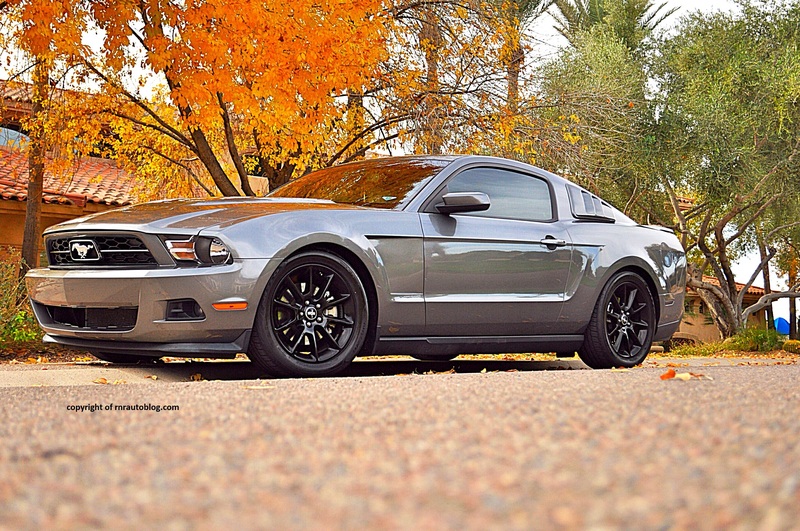 He started a whole dynasty of Mustangs. Sure, the Mustang had its great moments such as the Boss 302 and Bullitt versions, and not so great moments as the Mustang II, but it marched on. 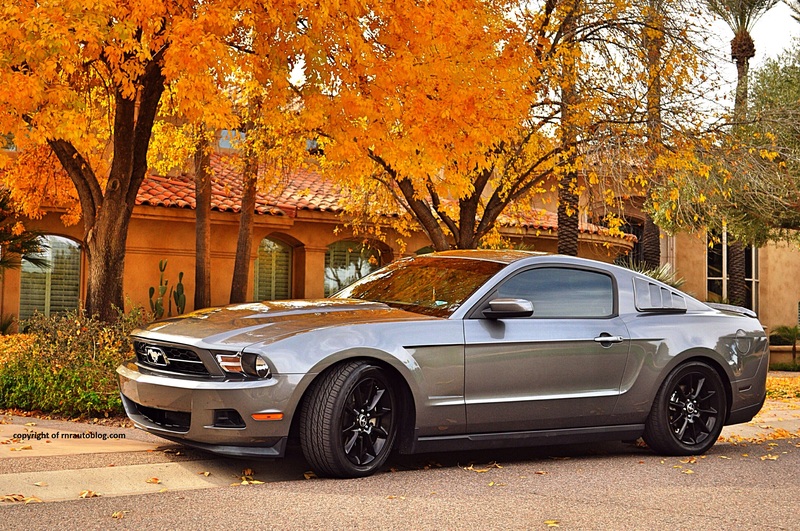 The Mustang has gotten better over the years, while still staying true to its roots. A lesson learned from the Mustang heritage can be applied to real life. Life has its ups and downs, but if you work hard, you will succeed. And that is exactly what Ford has done. The Mustang is successful, because it stays true to the original Mustang, while refining its attributes. Even though the Camaro is selling more than the Mustang, all the car magazines (except Motor Trend) rate the Mustang higher than the Camaro. Perseverance goes a long way. Great write up! Love the car. Thanks buddy! 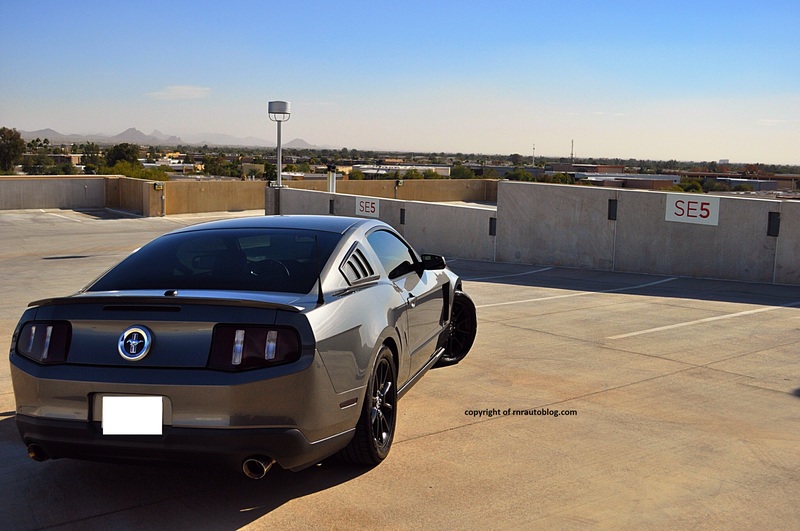 Thanks for letting me review your Mustang. “Life has its ups and downs, but if you work hard, you will succeed.” as you said is so true. Loved the read. Thanks!